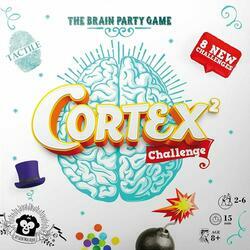 Cortex Challenge 2 challenges all forms of intelligence! 7 different events to have fun with the players' memory, observation skills, coordination and logic. Each of these titles also offers a tactile challenge. More challenges will be offered to your brains in this second version of Cortex Challenge, with challenges such as dissociation, observation and combination! And, always, tactile challenges for the strongest.